How to Create Flyers for Free? Are you looking for free flyer design templates? 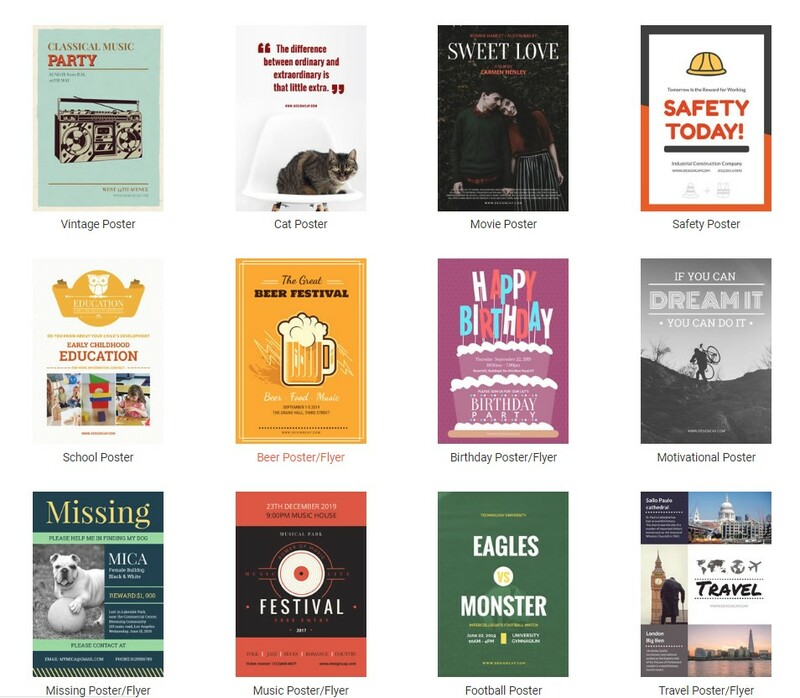 Or free printable flyer maker? We are offering free flyer maker online software. Check it out. A successful business starts with good publicity. To appeal to customers who don't know your restaurant, you have to pass out flyers to advertise, you have to design your business logo, which you can easily design online, download for free and print immediately. Simply choose from the different templates for the advertisement you like the most. Since the layout is designed for all wide variety of templates, all you need to do is personalize the proposed advertising text. At last, you can download your flyer free of charge as a JPG or PNG print template and print it comfortably with your PC printer at home. If you want to use a flyer editing program, I recommend DesignCap which is an excellent online tool. As an easy-to-use professional tool for free is especially recommended. At DesignCap, the basic principle is simple: you are looking for a template that suits your wishes and purposes and can then edit and print them directly. You can create a flyer or poster completely professionally without graphics knowledge. And you just need to go directly to the online editor via the orange button "Make a free poster/flyer". You can start designing immediately. As you can see, the program has a very neat interface. With a proper layout program, you can create your flyer professionally and use many other functions. In the toolbar on the left, you can find the clipart tool through which to insert shapes, lines, symbols, and other graphic elements to add to the flyer; then, there is a button through which to add text, and the photo is to upload images you want to be applied. 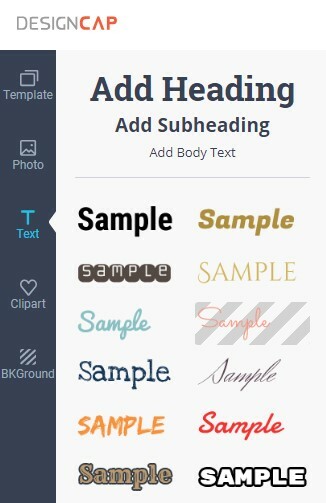 If you want to change the formatting of text, just select the text box you want to edit, click it and change the font, property and other effects using the menus and buttons that display in the sidebar located on the right. As soon as you are satisfied with your work, select save from the toolbar above to export the brochure in the format you prefer. If you prefer, you can share your friends the flyer by clicking on the links in part at the bottom top of the editing page. Have you seen how simple it was to use DesignCap? To create a flyer, you only need the design templates for the layout from DesignCap. It allows you to have all the relevant requirements for printing and to design it. DesignCap is ready as a layout program which can do everything you need for printing. Whether you would like to make a birthday flyer; business flyer or missing flyer; and so on, a wide variety of models can be designed completely freely with this online editor. Compared to other services, you do not need to create an account to use DesignCap. Give him at least one look, and I'm sure you will not regret it. Know World Now: How to Create Flyers for Free?